Hey Uttori readers, I’ve been on hiatus lately, but, I haven’t been idle. After doing the blog for the past two years, we’ve decided that it’s time to switch things up a bit. That’s why I’m so excited to announce the new Always Uttori Vlog. The vlog will cover a mix of topics including slice-of-life moments, as well as behind the scenes stuff. Also, stay tuned for our recurring vlog series, Girl + Food, coming soon! 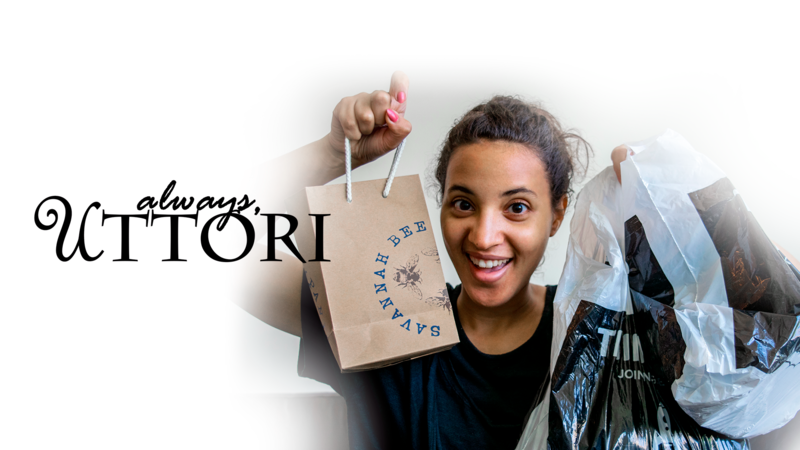 In this vlog, Always Uttori founder Imari and her brother Christian (fellow INTJ) check out the ThinkGeek store, watch Avengers Infinity War (no spoilers), check out a sidewalk arts festival, buy some honey, and share a geeky haul. It’s our first vlog, so forgive us for some awkward transitions and endings. We’re still working out the kinks. Watch the vlog below or click here.